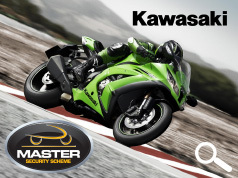 Kawasaki has announced that from December 2012 their range of road going models have been fitted with the MASTER Security Scheme. The added protection provided will bring peace of mind to customers as the scheme, developed in close collaboration with the Police, uses marking technology to stop the trend of breaking bikes down into parts to rebuild and sell on. Research has shown that marking component parts in this way more than halves the risk of theft. 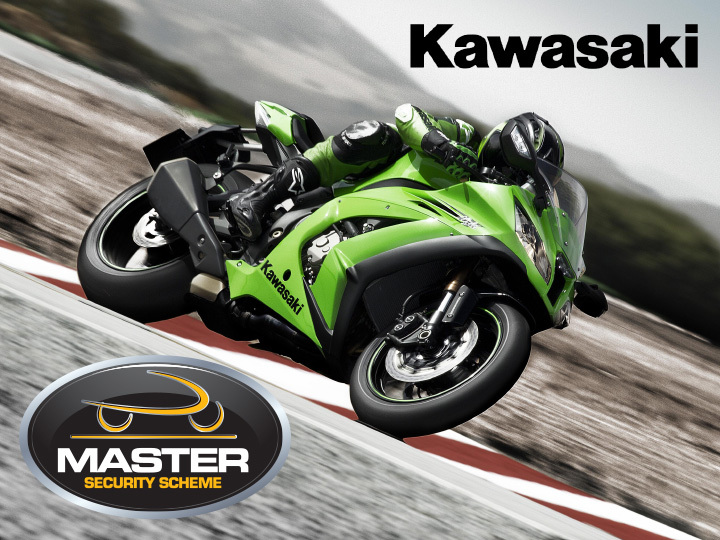 and prompted the Motorcycle Industry Association to launch the first ever official industry wide security marking scheme, MASTER. The scheme uses proven technology from the country’s foremost supplier of security marking technology, Datatag, in the fight against the criminal gangs and has the full backing from the Police, ACPO and the Home Office. Owners of existing models can also protect themselves by fitting a Datatag motorcycle security kit. With a retail selling price of just £89.99 and available via the local Kawasaki motorcycle dealers, Datatag’s new stealth UV marking kit offers protection from theft and peace of mind for owners across the UK.